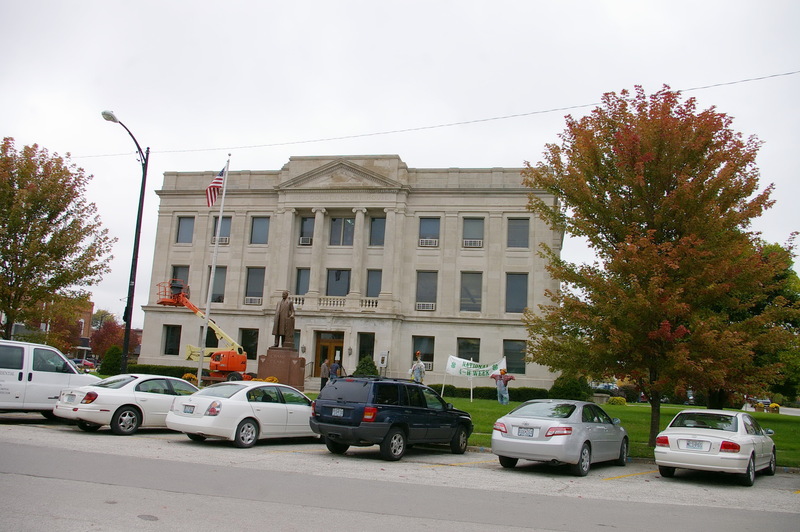 Description: The building faces south and is a three story gray colored Bedford limestone and Georgia granite structure. 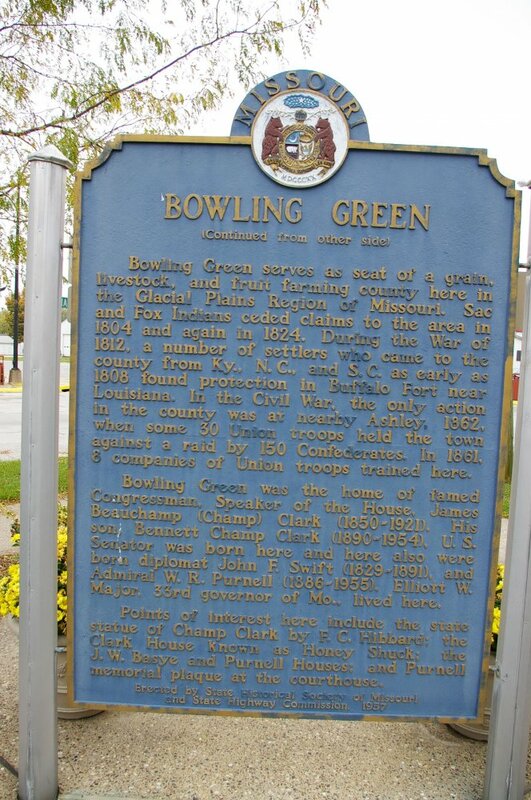 The building is 85 feet square and located on spacious grounds. The south front and all sides of the building have a projecting portico with two large columns rising from the second story to the top of the third story with pediment above at the roof line. The first floor entrances are framed with limestone. 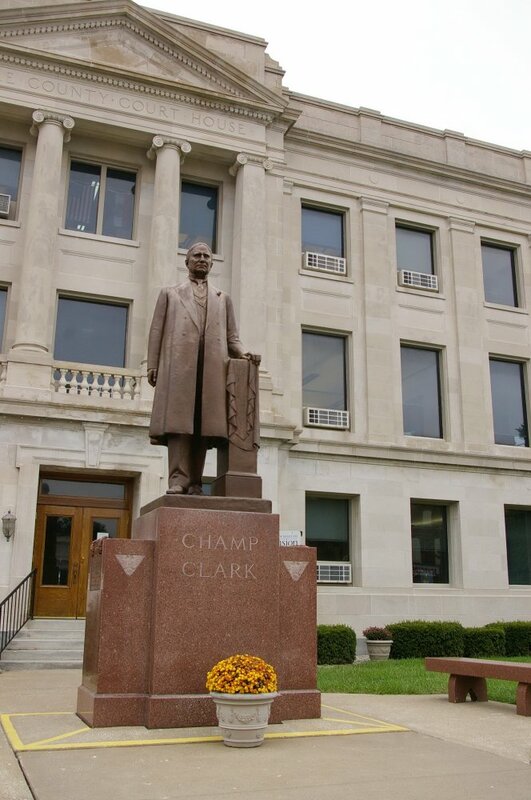 Note: The first courthouse was built in Louisiana in 1819 to 1820. 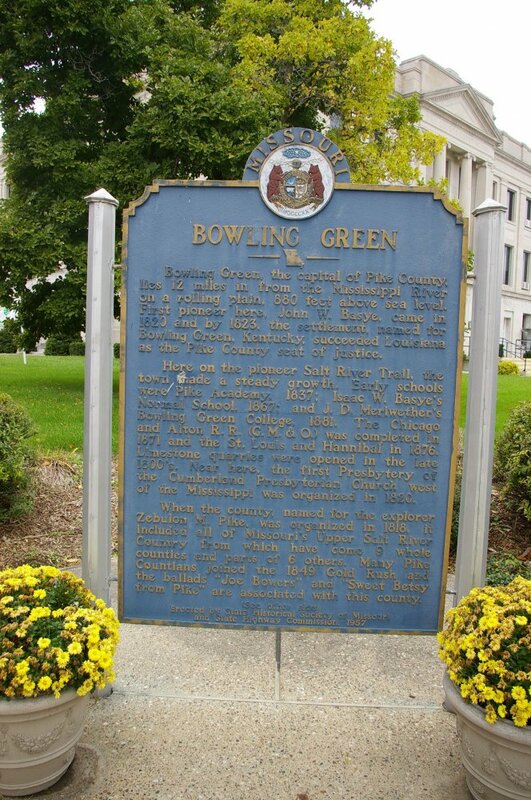 The first courthouse in Bowling Green was built by Nathaniel Montgomery in 1823 at a cost of $114. 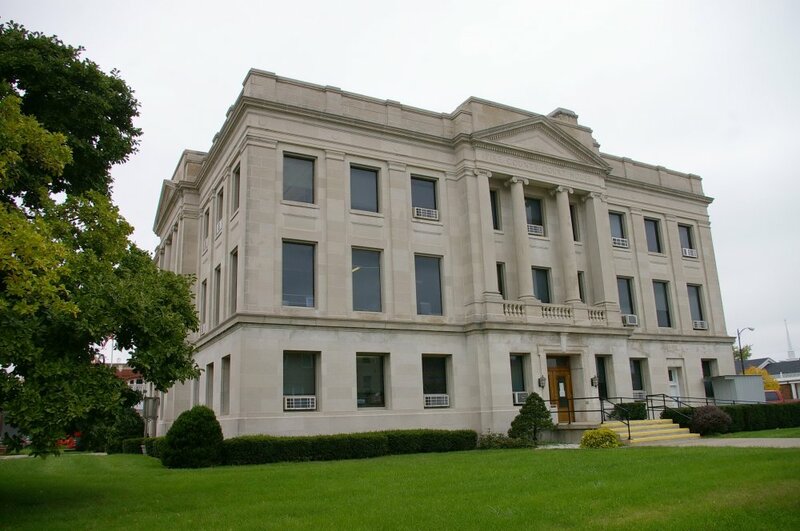 The second courthouse was built by Walter Crow and John Crow under the supervision of Levi Pettibone in 1829. The third courthouse was built in 1844 by W W Blain and Samuel Kem under the supervision of The Reverend J W Campbell at a cost of $11,200. The building burned in 1864. 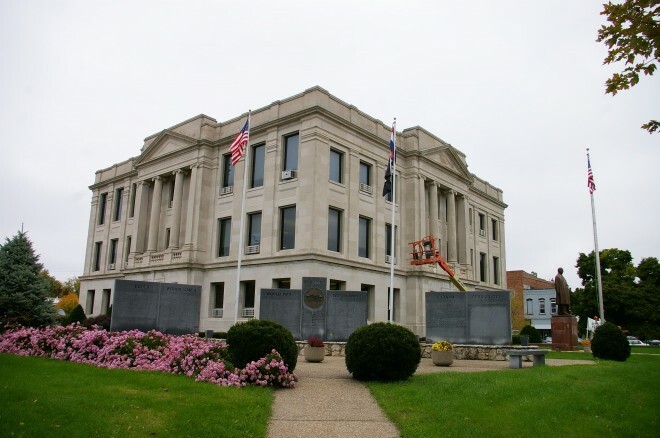 The fourth courthouse was designed by George I Barnett and A H Piquenard of St. Louis and was constructed under the supervision of Conrad Smith in 1865 to 1867 at a cost of $70,000.Fire destroyed the building October 16, 1915. 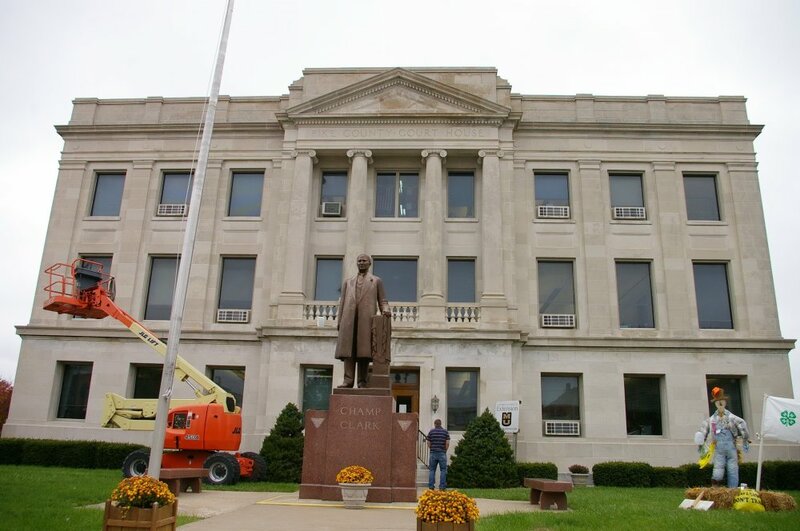 The cost of construction of the present courthouse was $100,000.